Apocalypse Reviews - What Did You Think?! 20th Century Fox‘s X-Men: Apocalypse is now playing in theaters worldwide and we’ve created this spot for you to tell us and your fellow moviegoers what you thought about the Bryan Singer-directed film, starring James McAvoy as Charles Xaver, Jennifer Lawrence as Mystique, Nicholas Hoult as Beast, Rose Byrne as Moira MacTaggert, Lucas Till as Havok, Alexandra Shipp as Storm, Sophie Turner as Jean Grey, Ben Hardy as Angel, Tye Sheridan as Cyclops, Olivia Munn as Psylocke, Lana Condor as Jubilee, and Oscar Isaac as the film’s title antagonist. You can read our review by clicking here and you can also watch a spoilerish new TV spot in the player below. What did you think?! 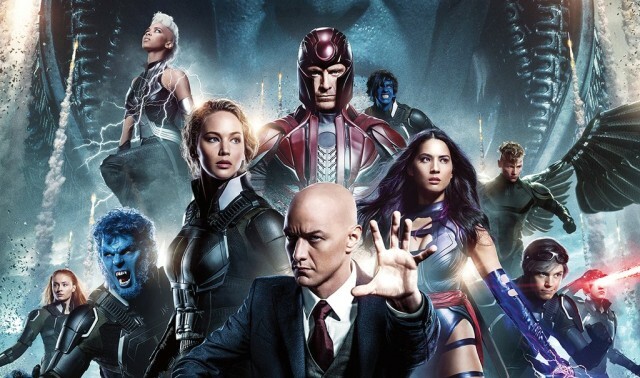 Let us hear your X-Men: Apocalypse reviews in the comments below!